Bus Stop directly west of south parking area. Private Catering is available. Bookings through The General Manager. Two areas available for semi-private and private dining. Semi-Private 8 guests. Private minimum 35 guests to 50 guests. Everything was awesome, service was great, food was great. Del was an awesome server. Friendly and polite. Food was excellent. If I had a complaint, it would be the attire some chose. Guess I am old fashioned. But when you go out for a nice meal, ripped Jean's and muscle shirts are a poor choice. Nothing you can help, however. We will be back. This was my 4th time at this location since the renovations and it was oneof the best. The food was excellent and our server Matthew was excellent. The only issue i had, was in the dining room there is a room off to the left hand side, almost seperate of the main dining area. It was incredibly hot and loud, i would avoid this area at all costs. Fabulous environment mixed with friendly staff is a great start. Add the delectable dishes served timely and the evening is pretty fantastic! My wife’s meal was undercooked. The staff took her steak, cooked it to her desired temperature, gave her a fresh plate with hot sides and to top it off gave us free desert. My food was cooked perfectly. I definitely recommend eating here. It was no more pricey that a meal for my family at any other high end place. Very quick service as we got in before our 8pm reservation. O Lynn thing is the noise level was very loud where we were seated. Meal was good, first plate the steak was way over cooked, but not to worry they re-fired and brought a new plate out and it was perfect. Obviously it should have been right the first time, but hey when I’m perfect then I’ll complain. Props to the staff member who saved a man who was choking - well done sir! No privacy...no fun to go out for a beautiful dinner and have no privacy. Service and food was point on and The Keg continues to be the most consistent and accommodating restaurant for any business and casual setting! The service we had from the start was excellent. Our waiter was smart and friendly and funny too. Got along with the kids just great as well. Food was excellent, I loved the creamed asparagus I had with the bacon wrapped chicken. Top notch place. We enjoyed a lovely evening at the Keg in Grande Prairie. We had a great server and we both had the steak and lobster special. The steak was done perfectly for both of us. The lobster was very tasty but there was a very small amount of it served on the steak. We went with the potatoes that were served with the special and although they were okay, we now know that we would've preferred the garlic mashed or the baked potato. Next time. We finished off the meal with the Billy Miner pie, which was as always, delicious. The restaurant was busy but not particularly noisy and the flow of people coming and going was done well. I went for my birthday and it was very nice.My husband was sick but my kids took me and the food,service and noise level was wonderful.i enjoyed my time there. I was there celebrating my birthday with my Beloved. At the start of the evening the General Manager, Amanda Chandroo, came over to our table and by name, welcomed us for the evening. How lovely! She stopped by a couple more times in the night to see how things were going. Thank you for helping make my day special! It was a nice outing. Inexperienced server was trying her best. However, not sure who the guy was, think he was mentoring the new girl, but he kept missing requests and calling me brother. Didn’t go there to find a new bro. He was more of an annoyance to us and a hinderance to her. This has been our second time since they renovated the restaurant and we’ve had 2/2 great experiences. Very friendly staff, amazing food and clean facilities. But my steak was not med rare...my son's was as he ask, medium rare..it was his birthday..and I had just flew in ..but the keg did make it right.so even though my steak was medium, actually parts if the steak were well done...i am ok with all. Went to the Keg for a business meeting. Everything was wonderful as usual. The quality of the food is so consistent every time you go, I’m rarely am disappointed. First time in since they renovated. It is really nice in there. I don’t honestly believe a restaurant of the kegs reputation needs to be recommend ! The appy we shared was the baked Brie ! In 2 words it was spot-on! Seasonal ale was a delicious foamy chocolate ale 3 pints was almost enough ! Great food, service and ambience. A little loud but that is to be expected in a full restaurant. Also a little on the expensive side but not out of touch when comparing to other restaraunts of the same caliber. I really enjoy the food, but am getting really annoyed every time I go they ask "are we celebrating something special this evening" no I'm just hungry, are you only allowed to eat here if there's something special going on???? Food was good, drinks not so much! I had not been there for almost 10 years. It looks much nicer than it had. The prices went up which makes it less likely for me to go regularly. As a one in a while treat it is nice. Thank you Marvin for the 5 Star review! Always our go to place for date night. Celebrated our wedding anniversary and was a great supper. Restauraunt was quite loud though. Only negtive of the night. Are Servus was amazing the server was so polite and outgoing best server by far!!! Great! Great food, great service great atmosphere! We asked that our entree not come out so quickly because we like to linger over appetizers. That didn’t happen. Probably just busy. Waitress was pleasant and we still tipped well but she did seem a bit overwhelmed. Steaks was over salted but cooked pretty well. Maybe a little overdone. Great appetizers and drinks as always. Overall a great night. 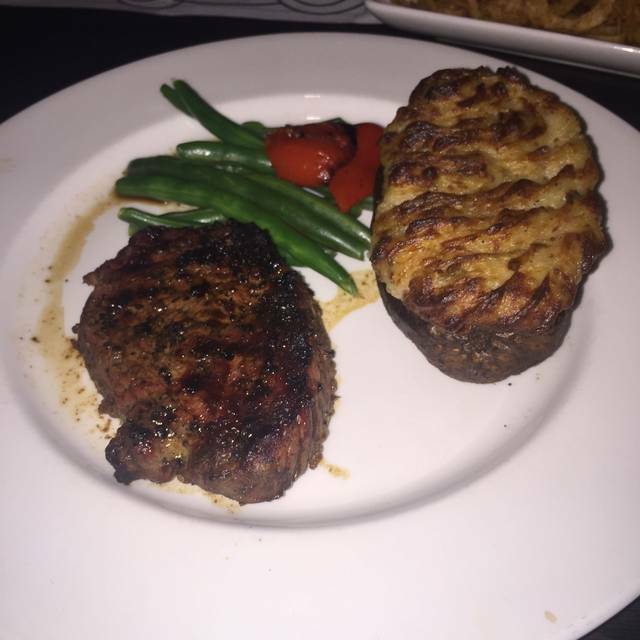 I do enjoy the food at the Keg, for me it never is disappointing. 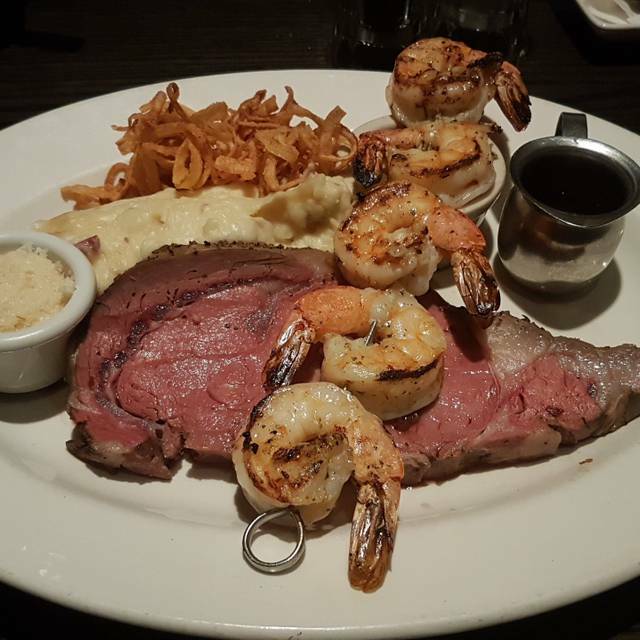 We go to The Keg whenever we’re in Grande Prairie. Our server was Jude and he was awesome. Everything was great, our steaks were both cooked to perfection. Hands down, great dinner. We have found our visits to the Keg in Grande Prairie have been extremely inconsistent. This past visit the food was very good, our server was not very attentive and we waited over an hour for dinner. We had our children with us who are young and we didn't end up leaving until well past their bedtimes. I did appreciate the kids appy platters which kept them occupied for a bit and held off their hunger but they were asking to go home for supper before the waiter was seen again to inquire how much longer our wait would be. Fortunately we had brought our own distractions for the kids, otherwise we would have needed to leave well before meal was served. Our previous visit we had an awful meal. The food was cooked very poorly, but the manager did comp most of the meal. Our visit before that was excellent; Our server was amazing the food was delicious. Our server Josh was outstanding and the food was great! We enjoyed all of it , however the features dish wasn’t that great. Very fatty rib and not a lot of meat for the cost. Josh is an amazing server . Love going out to the keg for dinner but when you have a server like him it totally makes your evening so much better ! Keep up the amazing work Josh ! Great restaurant with awesome food and service. Enjoyed the updates that have been done. Steak was over cooked and manager cooked another one instantly and it was perfect. My favourite place to go!